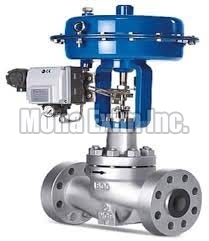 The company is enlisted among the well known Manufacturers, Suppliers and Exporters of Control Valve. The Control Valves we make available are known for their high mechanical strength, robust construction, smooth operation, high corrosion resistance, etc. Our experts carry out various quality-tests on the Valves based on different parameters before the final dispatch. One can obtain these at market-leading rates from us.